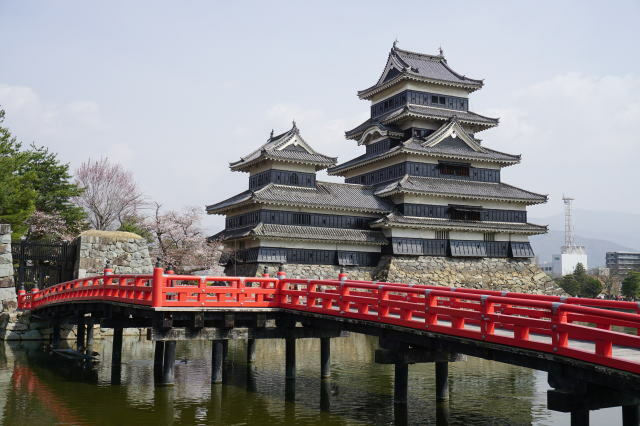 Matsumoto Castle is one of Japan's premier historic castles, along with Himeji Castle and Kumamoto Castle. 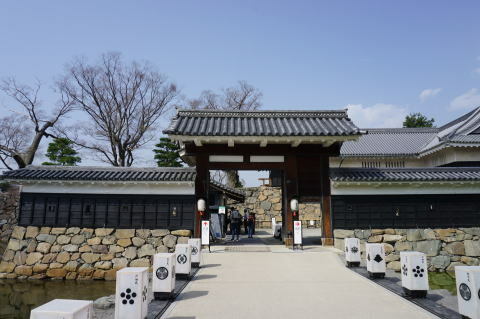 The building is also known as the "Crow Castle" （烏城）. 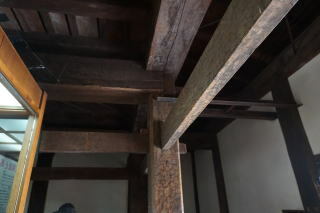 It was the seat of the Matsumoto domain. 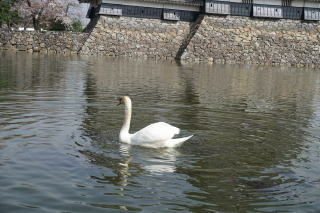 It is located in the city of Matsumoto, in Nagano Prefecture and is within easy reach of Tokyo by road or railway. 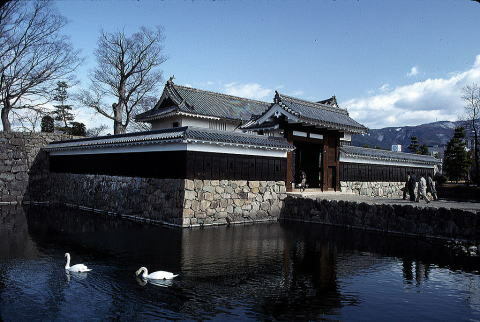 an extensive system of inter-connecting walls, moats, and gatehouses. 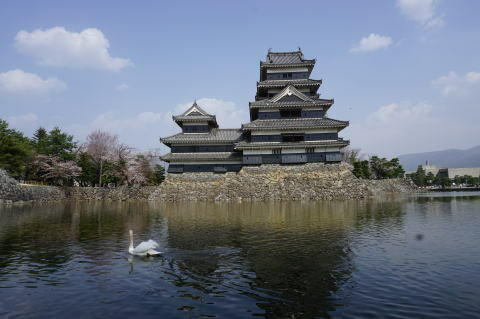 Matsumoto Castle is a flatland castle, surrounded by a moat. 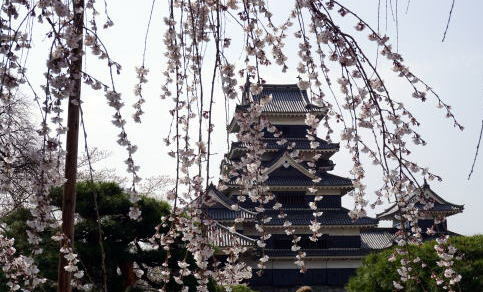 (L) A weeping cherry tree and castle tower (R) An era-actor in front of the Matsumoto Castle, that is often seen in the oversea historical places. 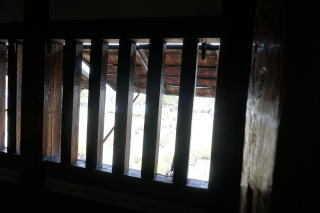 The narrow stairway up to the castle tower (Tenshukaku) is very steep and dangerous to the elderly. 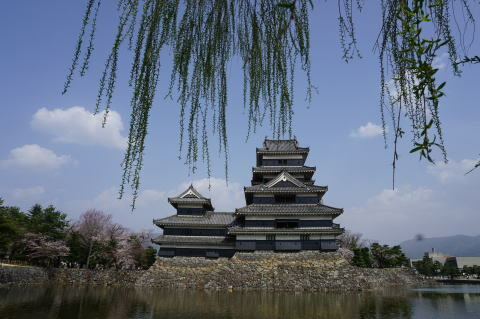 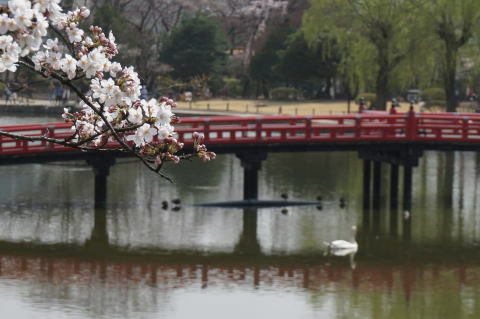 It was lucky we could observe Matsumoto Castle just during the cherry blossom season. 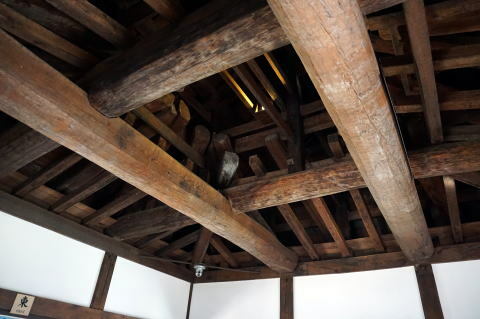 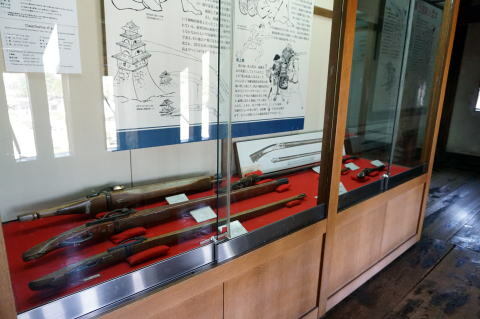 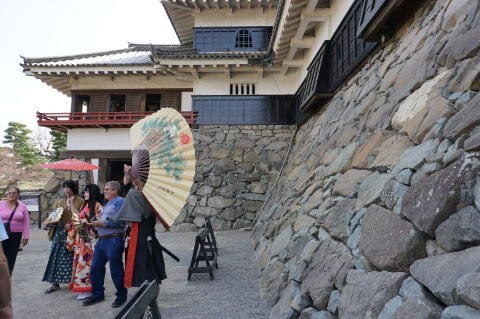 at Matsumoto Castle, it is dangerous to the elderly person. 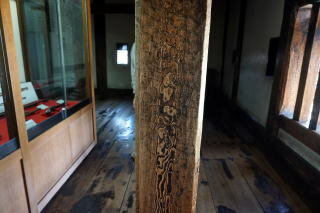 The article was written and photographs were taken by Dr. J. Miyamoto, in April 2018.